This four-hour theory course is designed for the operator who has previous certification, but requires updated training and legislation. Ministry guidelines and safe driving practices will be covered, and the program will be specifically geared to your application and/or equipment choice. 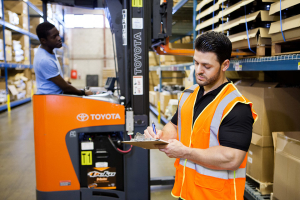 This course will provide the attendee with a Lift Truck Certificate upon successful completion of the theoretical component. Practical evaluation approx. 1/2 hr per operator.